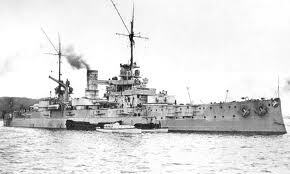 The Dreadnought battleship and battlecruiser classes "Nassau" and "Von der Tann" had these guns as main armament. In WW-2 this type was only used in coastal batteries. The propellant charge was increased and the shell had a smaller weight. In this outfit the maximum range was 36 kilometers.